Boiler repairs - S.Worrall Plumbing & Heating. Fast response boiler repairs from professionals. We are dedicated in providing expert boiler and central heating repairs leaving our customers completely satisfied with the work that has been carried out. We offer boiler fault finding and repairs and also cover any central heating system faults or repairs. We have experience with a full range of boilers and central heating systems; we also cover central heating wiring and system components. If possible we prefer to repair your existing boiler rather than just use it as an excuse to try and sell you a new one! We only use quality components and original manufacturer parts, a lot of which we carry on the van otherwise available next day in most cases. Call us for a fast response on boiler repairs if you live in the Leighton Buzzard, Milton Keynes, Dunstable, Aylesbury or surrounding areas. We repair any make or model of boilers serving Leighton Buzzard, Milton Keynes, Dunstable, Aylesbury and surrounding areas. Find your local boiler repair engineer here. 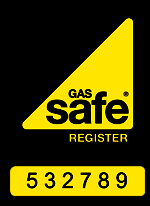 Gas safe registered and experienced. S.Worrall Plumbing & Heating, 60 Kingfisher Drive, Leighton Buzzard, Beds, LU7 4SG.